He knew President Kennedy. Was great pals with Truman Capote. Captured the Rolling Stones and Beatles on film like no one since. Was behind the power of the film, Grey Gardens, now the Tony-winning musical toast of Broadway. Considered by most to be the Godfather of the modern documentary film, Albert Maysles, along with his brother, David, practically invented that art form. Here, in an exclusive to Brilliant magazine, Maysles reveals insight into his career as a filmmaker that’s inspired three generations of film auteurs, about attending Capote’s famous Black & White Ball, and thanks to Broadway, his latest resurgence of pop cultural fame. “Albert Maysles and I had parallel filmmaking careers. He’s a fascinating man and he’s quite smart,” remarked Norman Mailer about Albert Maysles to me recently at a University of Texas gala for the Harry Ransom Center. Of course Norman Mailer, 84, arguably one of the most prolific writers of the 20th century was a contemporary of Albert Maysles, 80. Maysles is the kind of man who has had so many brushes with history and historical figures that it might seem overwhelming if his demeanor and sensibility weren’t so kind and his passion for documentary filmmaking so full of soul and purposeful intention. A trim, compact man given to wearing a black cashmere sweater and gray trousers, Albert Maysles, with his thick shock of silver hair and his signature black horned rim glasses neatly placed is, at his advanced age, ready to reflect on his career as I caught up with him at the Travis County Mental Health and Mental Retardation New Milestones Film Festival. He was there surrounded by fans who revere his vast talent. Even French filmmaker Jean-Luc Godard once called Maysles "the best American cameraman." Maysles’ career was an integral part of a one-two punch. 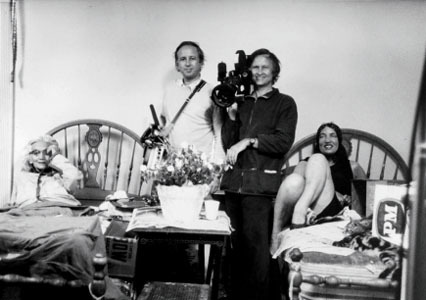 His brother, David Maysles, who died in 1987, was the soundman and supervising editor of the duo, while Albert was the cinematographer, both sharing directorial duties. Their films, beginning in the 1950s, were revolutionary at the time and set the path for generations of storytellers on film. The kind of filmmaking in which the drama of human life unfolds as is, without sets, scripts or narration. Before the Maysles brothers, documentary filmmaking usually contained a voiceover to guide the viewer’s journey. Maysles broke with that tradition by letting the story play itself out naturally, sometimes tragically and also, triumphantly. Insight into the human experience and psyche was a crucial element of his beginnings. Born into a family in Boston of Eastern European Jewish immigrants, he knew about persecution. Seeing that education could be a factor of self improvement, he graduated from Syracuse and Boston University and a course of study on how the mind functions. “I started out as a psychologist and always liked to listen instead of talk. It helped me become a keen observer and that has served me well,’ says Maysles. His first film occurred in 1955 when he took a 16mm camera to Russia to film patients at several mental hospitals and the resulting film, Psychiatry in Russia, started his path to creating modern cinema verité. In 1960, Maysles and a team of filmmakers went where only news crews were used to going… backstage of the Kennedy presidential campaign. In Primary, the film focused on the JFK’s road to the White House, while campaigning against Hubert Humphrey in the Wisconsin primary race, a pivotal primary also because it was Humphrey’s home state. “There’s a part of that film, where I captured Kennedy’s point of view by holding the camera above the back of his head as he was passing through the crowds. I enabled the viewer to feel what it was really like to be him in that situation with so many people,” confides Maysles. 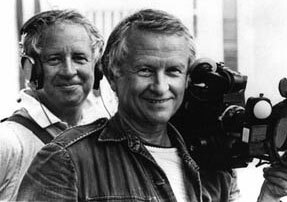 Maysles was a cameraman on the film that reflected a week of round-the-clock access to both candidates. With its ground-breaking, no-frills technique, the film gives equal time to Humphrey, but it's readily apparent that Kennedy’s magnetism, and the calm campaign-trail grace of his wife Jacqueline, would lead them to an eventual White House win. It aired as an ABC News Special and is considered by many to have been a deciding factor in Kennedy’s defeat over Nixon in the 1960 election. After that, part of America’s healing post-Kennedy assassination was because of the British band invasion. And the Maysles brothers were there to record it on film. Their forays into the world of music range from The Beatles in the USA (1964) to Gimme Shelter (1970) starring the Rolling Stones. The Beatles film covers the breathless reception of arrival of Beatlemania in the U.S., as well at the band's historical appearances on The Ed Sullivan Show. Further into the turbulent 1960s, the silver screen’s tough guy was the subject of eponymous Meet Marlon Brando. Then the Maysles set their sights on writer and social gadabout Truman Capote in the film, With Love From Truman, commissioned by National Educational Television. Capote, the literary set - and Jet Set - phenomenon was interesting fodder for any filmmaker. With the recent biopic films on Capote that tried to capture his true essence, the Maysles film is a genuine glimpse into the man behind the legend. “As Capote came out of the screening room, he had tears in his eyes,” recalls Maysles. “He said it was the best thing ever done of its kind.” They filmed Capote in the Oak Room at the Plaza Hotel, one of his favorite venues, as well as other New York sites like an interview by Newsweekat the Random House offices, as well as Capote’s home in Sagaponek, NY, all of which reflected Capote’s idiosyncratic life. That project sparked a friendship that begat a coveted invitation for the Mayles brothers to Capote’s party of the century, his Black and White Ball in 1965, atManhattan’s Plaza Hotel. The press that swirled around the party for a year leading up to it, noted that only 500 guests were invited. The Maysles brothers made the guest list. It would be an understatement to say that Capote was the boy of the moment with his widely touted novel, In Cold Blood being the best selling book of the year and his flamboyant interviews on the late night talk show circuit. It’s interesting to note that the Maysles approach to filmmaking, turning reality into art, was exactly Capote’s literary point of view when he wrote In Cold Blood. And the Maysles were there to capture it. “It was a great evening. Everyone seemed to be there. And, after I met and married my wife years later, the subject of Truman’s party came up. To both of our surprise, we were each there. And we didn’t know it at the time.” quips Maysles. After chronicling those subjects of modest means, the Maysles stepped back into the world of music with Gimme Shelter, which ranks, in many rock historian minds, as one of the best films reflecting the Sixties drop out generation. It’s a film that wrapped up a very turbulent 1960s when the Rolling Stones and Jefferson Airplane gave a free concert in Northern California, east of Oakland at Altamont Speedway. About 300,000 attended, with the organizers placing Hell's Angels in charge of security around the stage. With pool cues and knifes on hand, Angels helped wreak havoc. They spent the concert beating up spectators, killing one. Maysles’ film juxtaposes performances, violence, Grace Slick and Mick Jagger's attempts to simmer things down, with close-ups of young listeners dancing and drugging. Not only is the concert and audience footage peerless, the film also takes a look at the Stones later as they watch concert footage and reflect on what happened. Now that’s powerful filmmaking. The Maysles’ foray into pop culture may have approached it’s zenith in 1975 with the film, Grey Gardens. It is shabby gentility at its best, and perhaps, also at its most uncomfortable. Expert statistics point toward most Americans being three paychecks away from homelessness. This film illustrates how fortune and beauty can evaporate and the effects it can have on those who had plenty of both, the former New York socialite Beale women, cousin and aunt to Jacqueline Kennedy Onassis. Edith Bouvier Beale, a one time belle epoch beauty close to 80 when the film was made and her daughter Edie, then in her mid-50s, comprise a pair of odd recluses. Complete with double digit cats and raccoons, they live in Grey Gardens, a ghoulish, dilapidated 28 room mansion in East Hampton, New York. “We really hit it off with them and they trusted us,” says Maysles about the experience. In the film, Edith, the mother, is an eccentrically witty former singer. The daughter, Edie, is verbose, and dresses oddly with her trademark ensembles that include scarf-like concoctions around her head. Sometimes when life doesn’t turn out as planned, people make do the best they can. Which is what Grey Gardens reflects most: the circumstance of making do. The women address the camera, talking over each other, moving from the present to events that happened decades before as if they’d just occurred. It’s a tour de force look at the basics of mother and daughter relationships and the documentary developed such a cult following that it was made into an off-Broadway play in 2005 and then became a Tony award-winning Broadway musical this season. That film project might best define Maysles’ overall vision, “Documentary has to give us knowledge. And truth,” he states. The development of Grey Gardens the fiction film is in the works. “We are talking to Jessica Lange and Drew Barrymore to star as the Edies,” confides Maysles. Truth in relationships is vital to Albert Maysles. He has retained friendships with some of the most pivotal personalities of the past 50 years. People who have been friends both on and off camera. Muhammad Ali. Leonard Bernstein. Jimi Hendrix. Vladimir Horowitz. Wynton Marsalis and several hundred more. Among many other projects, Maysles teamed with the artist Christo and Jeanne Claude several times to document their grand artistic triumphs, including Running Fence, Islands, Umbrellas, and several more, including most recently The Gates (of Central Park). The awards have come to Maysles over the years. The Emmys. The Academy Award nominations. The recognition from the Library of Congress. And so many more accolades. But to Maysles it’s about the work. What shows up on the screen. These days, Maysles is still creating on a daily basis out of his Manhattan offices. Currently, he is sharing his inspiration on a myriad of projects. One of them, In Transit, is about trains as a metaphor for life. “I’ve had experiences on trains. Even in childhood and back in 1944 when I went off to war. All the better that the film reminds me of my early days. This is a present day project depicting the stories that develop when people get off the train.” When asked if making documentaries has changed, he offers, “Not that much, really. Raising money is still a problem. There are more documentaries and more ways to show them on DVD and the Internet." As Socrates wrote, an unexamined life is not worth living. Albert Maysles’ career has been devoted to examining life, yet also his altruistic nature has led to the founding of the Maysles Institute in 2005, a nonprofit organization. It’s committed to providing training and apprenticeships in filmmaking to underprivileged youngsters who are missing a parent in jail. The result: an increase in self-respect and a parent-child reconnection. “You can do so much good while getting directly involved in what’s going on in the world,” he shares. “There’s a History Channel. But wouldn’t it be great if there was a Peace Channel?” The world may just be a more interesting place since it has been seen through Maysles’ eyes.